A number of modern spells are designed to bring “prosperity” into an individual’s life. In some cases, Wiccan and Wiccan-influenced spellbooks contain workings that either target specific needs and cash amounts, or which seek to generally enhance the financial stability of the magician or his/her designated target (most Wiccan spellbooks also require that the magician have permission from the target even in beneficial magical workings like this). Certainly, magical practices designed to bring a sense of bounty and abundance into one’s life go back quite far—the cults of Fortuna and Tyche in the ancient world appeal to good luck, and the Roman cult of Pomona pursued the ideal of a fruitful life. Folk magic, however, has generally focused less on meeting a generalized prosperity and has drilled down to specific financial problems and advantages. The Wiccan spells which seek a specific sum of money to cope with a specific issue—a medical bill, a broken radiator, etc.—very much mirror the sorts of spells done by people across multiple times and places as they tried to cope with uncertain finances. Another brand of folk magic, however, did not work towards a specific sum, nor did it seek to bring a vaguely defined sense of wealth into someone’s life. Instead, many spells targeted getting rich—quick! In some cases, the spell’s target would be a gambler who worked to gain the advantage in games of chance (more on that another day, hopefully). A few stories talk of acts of magical extortion, wherein a magician would either try to low-ball the purchase of land/livestock with the threat that failure to accept a paltry offer would result in the destruction of the commodity in question OR a witch might place a curse on a neighbor and only remove the curse for a fee (you can find several examples of such stories in The Silver Bullet, and Other American Witch Stories by Hubert J. Davis). He made a sign, and the spirits replaced the gold in the bags and disappeared. “You see, my son, what the virtues of these talismans and rings are. When you know them all, you will be able, without my aid, to perform such miracles as you judge proper” (The Black Pullet, 20-21). Seals and incantations like these made it into later magical practices, especially in places where grimoire languages like German, Spanish, or French were spoken (to be clear, many grimoires were written in languages like Latin with commentaries in European languages, and these three tongues were hardly the only ones in which grimoires appeared). 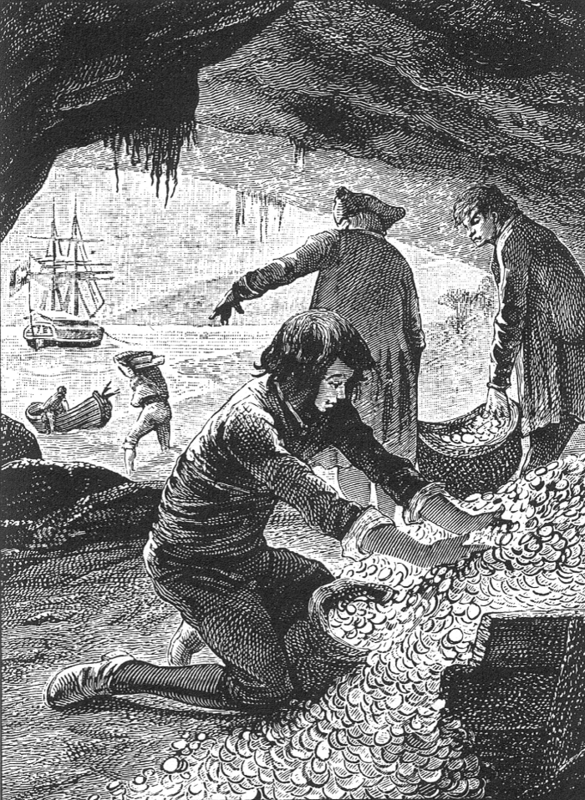 Lacking any other apparent explanation, his neighbors attributed Daniel Lambert’s sudden wealth to the discovery of buried pirate treasure. Despite Canaan’s location dozens of miles from navigation, the inhabitants readily believed that Lambert had found a treasure chest because, as Kendall explained, “The settlers of Maine, like all the other settlers in New England indulge an unconquerable expectation of finding money buried in the earth.” Indeed, backcountry folk insisted that troves of pirate treasure guarded by evil spirits pockmarked the New England countryside even in locales far from the coast (Taylor 7). In addition to maritime treasures, the idea of “Indian” gold became very popular. Some European colonists and conquerors were sure that entire cities of gold were just waiting to be found in the dense, mysterious interiors of North and South America. Gonzalo Pizzaro and Sir Walter Raleigh both mounted expeditions to find such legendary places, frequently referred to as “El Dorado,” or “the golden one.” In almost every case, however, the site was protected by evil spirits, a curse, ghosts, or some other malevolent force. In some situations, however, the spirit might actually help a seeker find his or her treasure: “There are many tales about ghosts who speak to people, telling them to dig at such-and-such a place to find a buried treasure. The ghost is usually that of some fellow who died without being able to tell anybody where his treasure was concealed, and who cannot rest quietly until someone gets the money and enjoys it” (Randolph 219). How one ensures that the ghost is not simply walking the magician into a trap is anyone’s guess. One of the best examples of magical treasure hunting led to an entire religious movement in the New World. While the time has not yet come to explore the full magical heritage of the Latter Day Saints, I would be remiss to omit them here. Joseph Smith, prophet and founder of the Mormon faith, used to hunt for treasure using methods derived from alchemy and hermetic science/magic. He followed the rules laid out above, frequently offering “sacrificed either pure white or jet black sheep or dogs to lay out magic circles of blood” prior to discovering his golden plates and having his angelic vision (Taylor 12). Smith’s methods were not deviant or unusual. He used seer or peep stones to help find his hidden treasures, and his activity in the highly spiritually active area of New York known as the Burned-Over District was imitative of earlier seekers and followed by those who did the same. In fact, Smith was following very much in his own father’s footsteps, as Joseph Smith, Sr. was an active treasure seeker in Palmyra, New York. He is recorded to have once described his methods to a neighbor, saying “the best time for digging money was in the heat of the summer, when the heat of the sun caused the chests of money to rise to the top of the ground” (Brooke 31). The tradition the Smiths followed required—like many grimoire traditions do—that the seeker be spiritually pure or else he will fail in his pursuits, a concept brought in from hermetics and alchemy. The fervent spirituality and insistence on saintly behavior left a strong mark on the junior Smith, and helped him feel prepared for his prophetic role in revealing the Book of Mormon (which was inscribed on golden plates). TO MAKE A WAND FOR SEARCHING FOR IRON, ORE OR WATER. If you are searching for Iron or Ore, you have to say the same, only mention the name of what you are searching for. This version of magical dowsing incorporates high magical elements (such as the invocation of Gabriel) and strong folk magical ones (the clipping of the tree twig at sunrise and the simple dowsing methodology). On the simpler end of the spectrum, one could simply put a bit of whatever was being sought into the tip of the dowsing rod, as in this example from the Ozarks: “Many hillfolk are interested in the search for lost mines and buried treasure, and some of these people have tried to use the witch stick in their quests. If a man is looking for buried gold, he fastens a gold ring to the end of his stick ; if it is silver that he expects to find, he splits the end of the wand and inserts a silver coin. Rayburn says that to locate mixed ores one uses two different metals usually a dime and a penny” (Randolph 88). The practice of hunting for buried wealth and riches spanned cultural and geographic boundaries. In many cases, very strict rules were followed, regarding purification and protection as well as actual seeking magic. Spirits would guide a magician to the site of a treasure, and in some cases might even be employed to raise it from the earth. In other cases, the spirits associated with the treasure were deeply malevolent and most of the magic employed was to placate or dis-empower any evil that might be lingering about the dig site. The payoff for an effective treasure hunter could be a sack of coins, a buried chest, or even a new branch of a religion, but the work required up front was heavy and intense. While gambling charms might take longer, the success rate was better overall. In the end, getting rich quick via magical means, it seems, has always been a labor-intensive and time-consuming effort, just like any other job. Anonymous. The Black Pullet (Red Wheel/Weiser, 2007). Brooke, John L. The Refiner’s Fire: The Making of Mormon Cosmology, 1644-1844 (Cambridge UP, 1996). Davies, Owen. Grimoires: A History of Magic Books (Oxford UP, 2010). Davis, Hubert J. The Silver Bullet, and Other American Witch Stories (Jonathan David Pub., 1975). Gainer, Patrick W. Witches, Ghosts, & Signs: Folklore of the Southern Appalachians (Vandalia Press, 2008). Hohman, John George. The Long-Lost Friend: A 19th Century American Grimoire, ed. Daniel Harms (Llewellyn, 2012). Horowitz, Mitch. Occult America: White House Seances, Ouija Circles, Masons, & the Secret Mystic History of Our Nation (Bantam, 2010 reprint). Hutcheson, Cory. “Blog Post 146 – Dowsing,” New World Witchery, 2011. 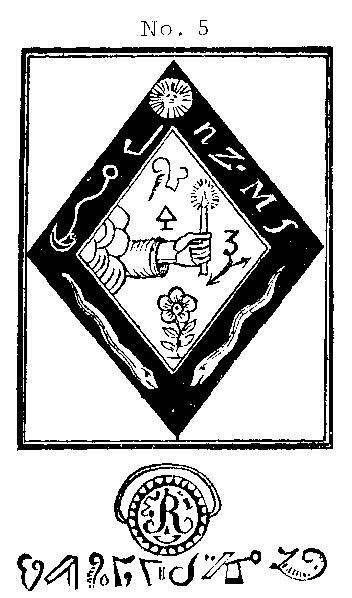 Milnes, Gerald C. Signs, Cures, & Witchery (Univ. of Tenn. Press, 2009). Randolph, Vance. Ozark Magic & Folklore (Dover, 1964). Taylor, Alan. “The Early Republic’s Supernatural Economy: Treasure Seeking in the American Northeast, 1780-1830.” American Quarterly (Spring, 1986).